You believe I am wasting time with FOIA requests? Attached is two jpgs of police reports I obtained from the EGFPD at different times. One report contains five lines that stated there was a recording conatined on a .wav file of a telephone call made to the East Grand Forks police about me by someone from Florida (whose name I redacted) - it stated the recording was given to Lt. Hajicek. 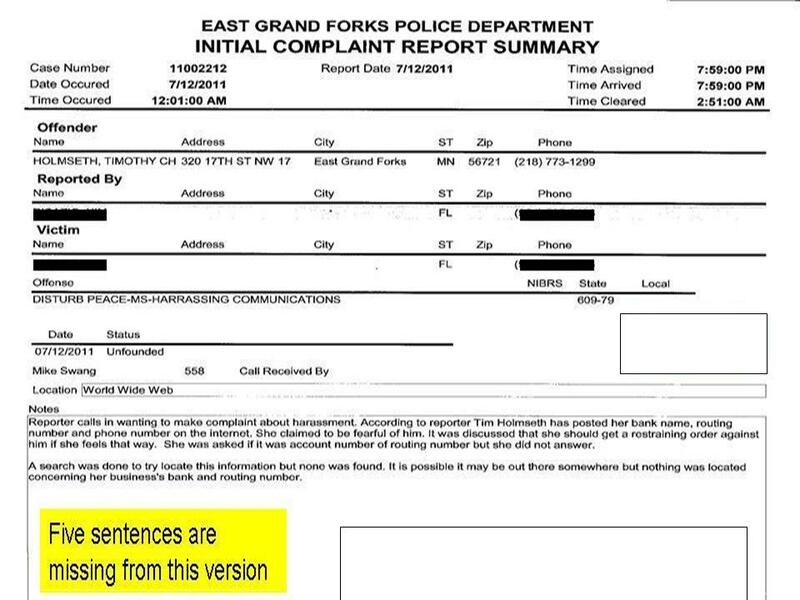 The other jpg shows the exact same police report but those five critical lines are missing - the information about the recording and Lt. Hajicek have been removed - Chief Hedlund advises the recording was destroyed. 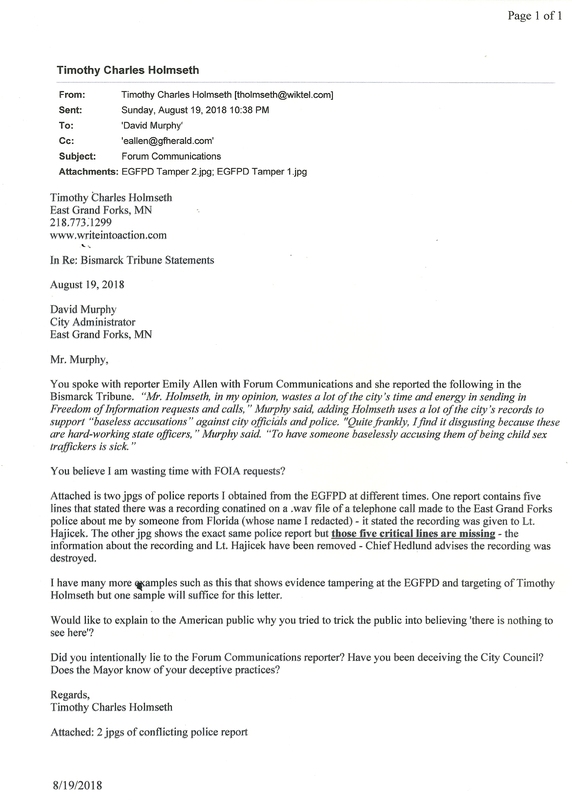 I have many more examples such as this that shows evidence tampering at the EGFPD and targeting of Timothy Holmseth but one sample will suffice for this letter. Would like to explain to the American public why you tried to trick the public into believing 'there is nothing to see here'? Did you intentionally lie to the Forum Communications reporter? Have you been deceiving the City Council? 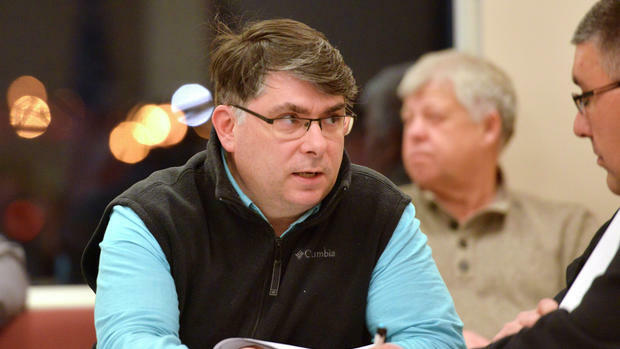 Does the Mayor know of your deceptive practices?